Ferrari factory original 1994 Ferrari F355 Berlinetta Brochure (US Version). This Ferrari brochure is VERY similar in appearance to the earlier Monterey Introduction Press Kit (# 877/94) but instead of the matt cover of the press kit it has a shiny, coated, cover. Contains 24 pages with the usual stunning photography. 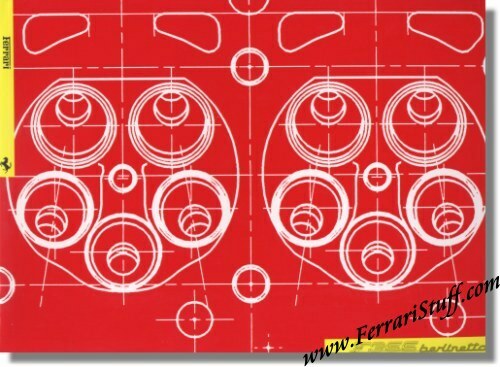 Ferrari Print Number 880/94 3M/07/94, issued in 1994, printed in July 1997 by Puntografico spa Bs Italy.